Give to the VBSPCA at Work. 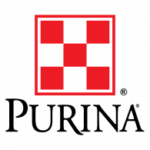 In addition to being an eligible charity for many Federated Campaigns and Workplace Giving Programs, there are multiple ways to engage employees in support of the Virginia Beach SPCA. United Way – Simply write in “Virginia Beach SPCA” name on the United Way Form! Through its retail operations, Second Chance Thrift benefits the Virginia Beach SPCA. Gently used or new household items such as furniture, clothing, electronics, appliances, tools, bikes, baby items, jewelry, collectible items, items may be donated to Second Chance Thrift. Sale of these items will benefit the VBSPCA with funds being directed to support our mission delivery! Your everyday purchases at Amazon.com can benefit the Virginia Beach SPCA. Amazon will donate 0.5% of every purchase, every time you shop, to the Virginia Beach SPCA. Just visit smile.amazon.com and select the Virginia Beach SPCA as your charity of choice. 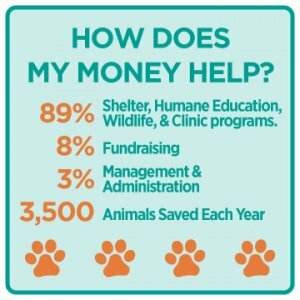 Give your spare change to the Virginia Beach SPCA- no amount is too small to support the care of our animals! Participating businesses graciously provide counter space for our discreet collection banks, and volunteers regularly collect donations from the collection banks and deliver them to the Virginia Beach SPCA. For questions, or to receive more information about participating in our Canister Program, please contact Sarah Parrish at sarah.parrish@vbspca.com, or 757-427-0070 ext. 107. Every in-kind donation helps us save money that can then be used to help even more animals. Below is a comprehensive list of items we use on a regular basis. If you are financially able, please consider “green” (environmentally friendly) brands if possible, such as Method or Seventh Generation. These products are not only environmentally friendly, but these companies do not test on animals or use animal ingredients. They can be found at Target, Organic stores, Lowe’s, and Harris Teeter. Donated vehicles help us transport animals to and from shelters and events, helping them find adopting families quicker. To learn more and begin the process of donating your new or used vehicle, click here.